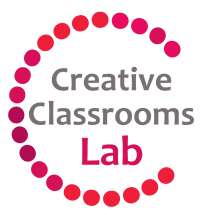 The Creative Classrooms Lab project (CCL) brought together teachers and policy-makers from 8 countries to design, implement and evaluate 1:1 tablet scenarios in 45 schools across Europe. The project produced learning scenarios and activities, guidelines and recommendations to help policy-makers and schools make informed decisions on implementing 1:1 initiatives in schools and for the effective integration of tablets into teaching and learning. Funded by the European Commission’s Lifelong Learning Programme and coordinated by European Schoolnet, the project ran from April 2013 to May 2015, with the University of Wolverhampton responsible for the observation and documentation of practice. 10 associate partners from Austria, Belgium (Flanders), Belgium (Wallonia), Czech Republic, Italy, Lithuania, Portugal, Slovenia and the United Kingdom were involved in the project. As an associate partner, IRIS Connect were responsible for facilitating the collaboration and sharing of best practice between a group of teachers from 5 countries, focusing on self-reflection, peer-to-peer reflection and feedback. IRIS Connect was identified as the only cloud-based, online platform and mobile video system at that time which would allow teachers to easily record their teaching and share lessons with others in a virtual space that is private and secure. The CCL project teachers from Belgium Flanders, Czech Republic, Italy, Lithuania and Slovenia reported that it was very easy to record lessons using IRIS Connect, and recognised how helpful the system was in getting feedback on their teaching. Going forward – I am getting to where I want, I am in a better position to include other teachers. Now whilst testing IRIS Connect, I would like to use this to reflect with other teachers. Already after watching myself, I have made ten points about what I have to change in my lessons. Rachel is IRIS Connects Digital Marketing Executive based in Brighton. She loves to work on our websites, social media, email and online strategy.